A day of family fun will help other families get through their toughest times. The Tot Trot is November 12th at Tampa’s Gadsden Park. The Tot Trot is a non-competitive 3K walk and a morning of fun activities for kids that raises money for the group High Risk Hope (HRH). HRH supports pregnant women on hospital bed rest and parents whose babies are in the Neonatal Intensive Care Unit. Volunteers deliver care packages filled with items that make a long hospital stay more bearable. But volunteers like Kate DeSantis also deliver a gift of hope. DeSantis had a preemie baby and her daughter Rosie is now a thriving preschooler. “We engage a group of volunteers like myself who have been through this journey and come out the other side with a healthy baby,” DeSantis explains. High Risk Hope serves St. Joseph’s Women’s, Tampa General, and Sarasota Memorial Hospitals. The Tampa Bay Rowdies decided to take part in the Belly Flop for Babies Challenge thanks to captain Tamika Mkandawire, after he found support from High Risk Hope. It’s a flop to be proud of. #bellyflopforbabies is the social media campaign that had everybody from doctors to kids to the family dog diving, belly first, into water and posting the videos online to raise awareness and funds for High Risk Hope, a nonprofit that focuses on expectant mothers dealing with high risk pregnancies and premature birth. For the upcoming Giving Challenge, High Risk Hope is hosting family friendly event Storytime and Sweets at Bayfront Park on Wednesday at 10 a.m. The Giving Tree will be read aloud to highlight the value of giving and the power to make a change. 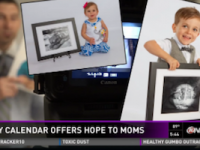 For the past three years, High Risk Hope has created calendars to place in their bags to provide inspiration to the moms and families who receive them. The calendars include 13 past HRH families who have received support from HRH. People across the country are posting videos of themselves belly-flopping into water in a trend that is about more than summertime fun. 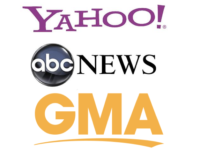 The videos, posted with the #BellyFlopforBabies hashtag, are for a good cause -- supporting both pregnant women who are placed on bed rest with high-risk pregnancies and families who have premature babies in neonatal intensive care units. The viral challenge was started in June by High Risk Hope, a Tampa, Fla.-based non-profit organization that delivers toiletries and comfort items such as blankets to hospitals' maternity wards. 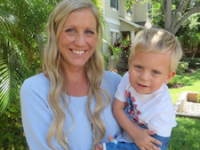 The organization was started in 2011 by Heather Barrow after she spent months hospitalized on bed rest before the birth of her son Hill, now a healthy 7-year-old who took the #BellyFlopforBabies challenge himself.